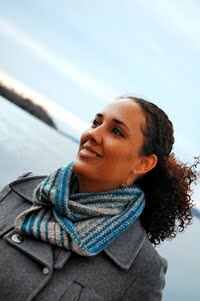 As I mentioned last time, I'm testing a pattern for the very talented Yarn Yenta aka Heatherly Walker. Heatherly is partially responsible for forcing persuading me to design knitting patterns, lol. So here's what happened... 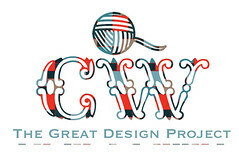 I signed up for my second season of Super Sock Scarefest and a discussion thread was going on about IF we were going to design a sock for the upcoming season (IF! ), what movies would we pick. I was pretty active in that thread, tossing movies around willy-nilly and having a general good time. Then I got a call from Heatherly telling me when the designs were due, and what my supply list would be. I'd knit socks without a pattern before, but they had always been one-offs and I'd never designed in multiple sizes before. So, under a great deal of pressure encouragement, I got my needles out and published what would turn out to be my most popular pattern to date: Night of the Lepus. And each year sense I've been asked back to design more scarefest socks. Speaking of which, my latest SSS design is scheduled to be released on Oct 21st, so get your needles ready! 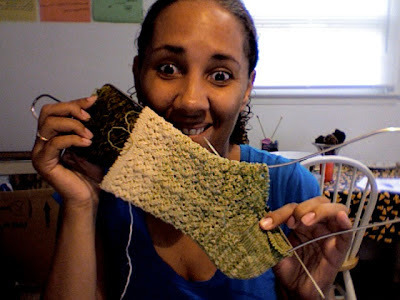 Anyway, the sock I'm holding like a grinning fool is the Alyssians pattern and is part of a series by Heatherly. You can't see it very well from my quick-and-dirty webcam photo, but it's got a really pretty lace stitch and an eye-of-the-partridge heel. It's my first time ever knitting that type of heel (although I've wanted to for a while now) and unfortunately, the tonal-dye of my yarn doesn't really let it show up as well as I'd hoped, but it's working EXACTLY as I hoped in terms of how well it plays with the lace. I modified the pattern by knitting the leg for 6 inches instead of 4 inches...because I'm a giant. Otherwise I'm knitting exactly as written. This has been a great little project to pick up when I need to put down the Knit Picks project (which I'm almost finished with). Meanwhile, in the kitchen, Alex and I have been having a lot of fun thanks to some new food blogs I've discovered, such as Cookies and Cupcakes, Swamp Hollow Designs, and Make.Bake.Celebrate, and an old favorite, Annie's Eats. I've made witch's brew soup, and creepy cupcakes, and birthday cake fudge, and fall trail mix, and a Halloween gingerbread house (from a Wilton kit). Almost every day this past week was a new, fun, seasonal treat. Thank goodness I'm allergic to most of it, or I'd have gained 10 pounds! I know it sounds like a lot of baking, but I've got to get it all in now before I start school on Wednesday. Yep. Grad school. I never thought in my wildest dreams that I'd be a grad student, and here I am. I'm not really excited about it though. I'm more apprehensive. My husband, however, said he'd be really stoked if he were me and he thinks it's exciting and I should be proud of myself. I think he might have taken a breath in between saying all that though. To help get over the anxiousness, I've taken on another test knit, and another sample knit, lol. The test knit is for another talented designer who I admire, Hilary Smith Callis aka The Yarniad (she of the Citron fame). Hilary is the designer who's handknit tie caught Dante's attention, and led to my being forced to design Shelby for Alex (because I can't knit a tie for Dante without knitting a tie for Alex, lol). I love her designs, and this one is no exception. Unfortunately I can't share it with you yet, but I'll make sure to take some pics and have them ready. That being said...here's some photos of food and stuff, lol.